Some of you may have already spotted a little detox-preview on my Instagram account (@vickyheiler), and so I thought it was time to give you a more detailed update after completing my first 2 days of nothing but liquids with Detox Delight. First things first: I know detoxing is experiencing a certain hype right now, and I know some of you are already sick of hearing about it. However, I am the kind of person that always needs to experience things in order to form an opinion. I don’t listen to judgements about other people, I try to get to know them. I don’t believe others when they say somethings doesn’t taste good, I like to try it myself. Naturally the same goes for detoxing! – Weight Loss: I’ll be honest and skip the blah blah, I think it is a good thing to drop a pound or two before all the holiday feasting begins. As always, I am fine with my body, but I would be lying if I didn’t like the thought of my jeans fitting a bit looser (like just about every other girl out there, I guess). – Timing: I am doing the juice cleanse together with Kathi and this week we both only had meetings and appointments on 2 days, plus her boyfriend is currently studying abroad and Mike is out of town for 3 of the 5 days, which makes things a lot easier (as in: not watching someone eat amazing food while you’re sipping on juice). – Skin (!! ): You guys know I have eczema and am always looking for ways to make it better. Whether it is my skin care routine, fitness or diet – I try to make little adjustments that may have an effect on my skin. One of the many promising effects of detoxing is glowy, fresh skin, shiny hair and healthy nails. Sounds good to me! – Energy: Lately, I’ve been dreading to get out of bed in the morning A LOT . Not because I don’t want to go to work (I love my job), but because I simply feel exhausted and tired. Almost all the time. While you usually get super tired the first few days of detoxing, towards the end your body adjusts. Supposedly people even wake-up bright and early on day 5 of the detox program, filled with energy and drive. – Discipline: And lastly, I wanted to test my will-power and discipline. Going 5 days without a single bite of solid food seems kind of crazy if you ask me, so I wanted to see if I could do it! All in all, I am totally confident that Kathi and I will pull through with the 5 days. I am excited to finish today with my soup and then we’ll already be half way done. As of this morning, my weight was also down 1.7kg, but I blame that on the 6 L of liquids that we’re currently drinking each day. 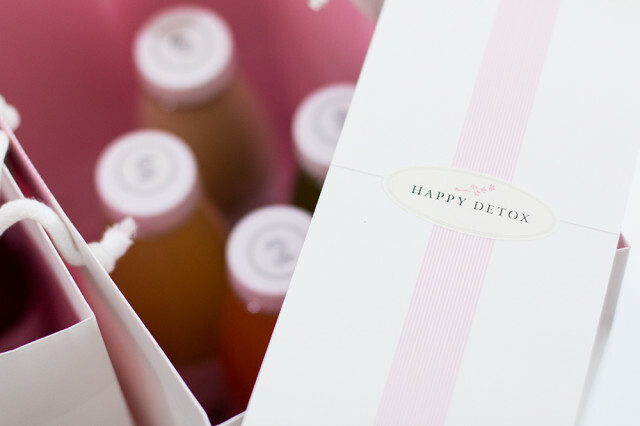 *a big thank you to Detox Delight for supporting our detox! ..ich finds so schade, dass es immer vermarktet wird und damit in verbindung gerät mit abnehmen – dabei ist der eigentliche zweck doch das entgiften des körpers, was in allen anderen punkten widergespiegelt wird. für mich haben dadurch alle reviews einen kleinen negativen beigeschmack :/ dabei geht es ja einher mit den fasten-kuren, die es schon seit längerer zeit gibt und genaugenommen genau das gleiche sind. ich glaube, ich verstehe was du meinst, aber ich denke nicht, dass alle die eine solche Kur machen nur das Abnehmen als Motivator sehen. Denn jedem ist bestimmt auch bewusst, dass nach einem Tag mit “normalem” Essen nach der Kur das Gewicht schnell wieder oben ist. Alle Mädls/Frauen mit denen ich bis jetzt gesprochen haben, heben im Anschluss an das Detoxen vor allem die tolle Haut und Energie hervor 🙂 Ich denke wenn man das Gefühl selber mal erlebt hat, weiß man, dass das Gewicht zur Nebensache wird und die anderen Benefits eindeutig überwiegen. Trotzdem wollte ich so ehrlich mit euch sein, und zugeben, dass natürlich ein paar Kilo weniger auf der Waage auch Spaß machen. Also I’m pretty sure the headaches came from the caffeine withdrawal. If you drink a lot of coffee your body adjusts to it and as soon as you take this “drug” away, your body reacts. All the best for the rest of your detox!!! digital highfive for you girls for doing this during a freezing cold winter month … i did it once in summer when it was super hot and my body usually wouldn’t even require any proper food – and still i struggled with it! Cant wait to read about your final report! We’re definitely feeling MUCH better today on day 3 – I am hoping it’ll only get better from now on 🙂 And of course we’ll keep you updated with the results! PS: How cute is that packaging!? Ich wünsche euch noch ganz viel Erfolg beim Durchhalten, aber ihr habt es ja schon fast geschafft :))) Immer positiv! I really love this blog but hate it when a product which is obviously snake oil hailed as a wonder treatment. 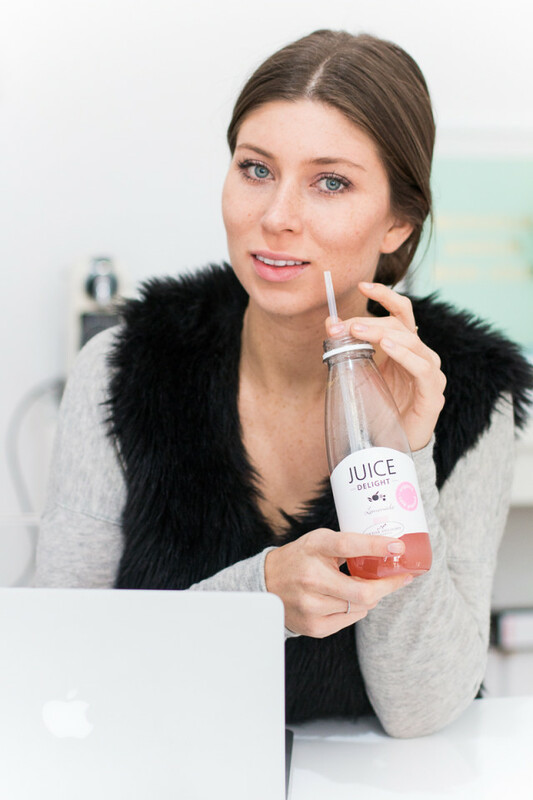 A scientist explains here http://wholehealthsource.blogspot.de/2014/03/the-ultimate-detox-your-kidneys.html why all the glitzy things with the word “detox” slapped on them are BS. I don’t necessarily agree with you. I do think the kidneys do an amazing job at actually “detoxing” our body, and possibly “detox” is even the wrong word for what I am currently doing. However, I do think that these types of juice cleanses certainly give your body a break, allow you to take a few days to revaluate your diet and eating habits, and mostly: learn a lot! I am finishing up on day 3 right now and actually just returned from the gym. I can tell my body is doing really well with the juices, and in all honesty, I don’t care if it is specifically toxins that I am getting rid of. But whatever this juice cleanse is doing to me, I feel amazing and my body is healthy. 265€ für eine 5 Tage Kur finde ich schon recht happig. Für das Geld kann man die Säfte und Suppen auch selbst zubereiten und das dann auch mit frischen Zutaten. Ich verstehe nicht warum Ihr die Sachen kauft , vor allem da du schon so viele Rezepte zum selber machen gepostet hast ? Wenn gesundheitliche Probleme wie Neurodermitis und chronische Müdigkeit bestehen würde ich empfehlen mal einen Heilpraktiker oder Ayurvedaspezialisten zu konsultieren 😉 nur so als Tipp da gibt’s tolle Entgiftungsprogramme die auch auf die entsprechende Konstitution und Befindlichkeiten zugeschnitten werden. klaro ist das viel Geld. Aber ich sag’s dir ganz ehrlich: mich hat es total interessiert! Ich wollte das einfach selber mal testen und am eigenen Körper erleben. Ich habe durch die Bank nur Positives gehört und freue mich schon wenn ich euch nach meinen 5 Tagen mehr berichten kann! Vielen Dank für diesen intensiven Einblick! Ich hab vor kurzen auch eine Fünf-Tage-Detox gemacht. Allerdings mir festem Essen und einfach vegan, clean, kein Salz, Weizenmehl, Zucke etc. in deinem Post erwähnst du, dass du Probleme damit hast morgens aus dem Bett zu kommen. Meine Ärztin hat mir vor ein paar Tagen erzählt, dass die meisten ihrer Patienten, die momentan an Symptomen wie Müdigkeit und Unlust leide, einen hohen Mangel an Vitamin D haben. Vllt solltest du das mal checken lassen. Bei mir hat es sehr viel geholfen, dass ich Vitamin D jetzt extra zu mir nehme. danke dir für den Tipp! Werde ich auf jeden Fall abchecken lassen. Hab auch schon gehört, dass die Schlappheit mit Vitamin B Mangel zu tun haben kannn, daher nehm’ ich Vitamin B Komplex seit einiger Zeit. Aber wegen dem D-Mangel check ich gleich mal.